Ok, Club Roca Azul is getting Ilox fiber optics but only 20 mbs. I spoke to Jessica of the company since the cable will be just 200 meters from my house. 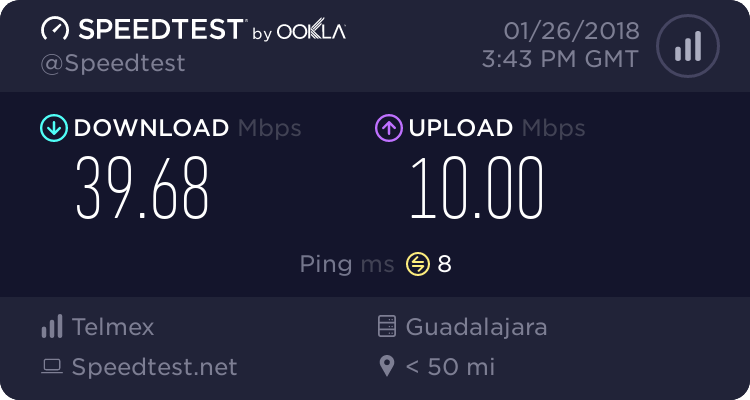 I was told I could have a connection for less than 10 mbs for only 4799 mxn pesos with a 36 month contract. That price is per month. I politely declined. Bait and switch??? I asked about the program Tom has worked so hard on and she ok but I would have to wait. BTW I have seen their trucks on the main road into Roca. I am so disappointed since they are so close. I will not pay 4800 pesos a month....so I will have to continue with Telmex horrible service for a few hours a day. Thanks for my rant! I recently got an e-mail from sky mexico advertising a company called bluetelecomm. fast speeds and good price.tried to call them numerous times but no answer ! anyone know of this mob? Interests:This is the country where the nuggets of gold are just crying out for you to take them out of the ground and make 'em shine in coins on the fingers and necks of swell dames. Telmex: "I don't think anyone could ever offer slower Internet speeds at a higher price than we do!" Ilox Fiber: "Hold my beer..."
For what it's worth... I live in Los Sabinos, one of the developments mentioned in their original documentation. Several homeowners living here expressed interest, but all our utilities are underground and there's some question about how they would connect to houses inside the development. Our condo Admin Council is working to have a meeting with iLox to discuss options for making connections. Their representative has asked about getting infrastructure documents for reference. Hoping to hear something soon about getting together for a chat with an iLox tech or engineer. Just wanted to let people know that some discussions are pending. Whatever they find here might be relevant to others living within condo or fracc type developments. They use the infrastructure of telmex. So they also offer the same speeds as telmex and even telmex people come to your home to connect the cables. Only a sky person will bring in a modem which has a slightly different firmware then the one of telmex (basically just an other logo on configuration page). So speed depends on telmex in your neighborhood. Don't expect miracles about getting higher speeds. Suspected as much.not worth the bother and although my internet is very average speed at 5 at least its consistent with telmex.